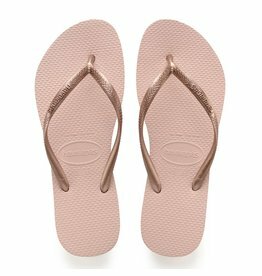 The Slim Logo Metallic flip flop proves basics are never boring. Featuring a classic slim silhouette that pair with everything in your wardrobe. 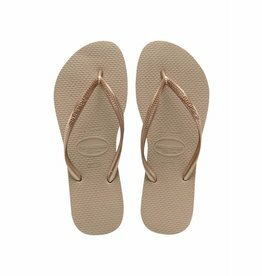 A pop up Havaianas logo on slim metallic straps completes this versatile look and the signature textured footbed adds comfort. The Slim features a sleek, streamlined metallic strap for a fresh, on-trend look. 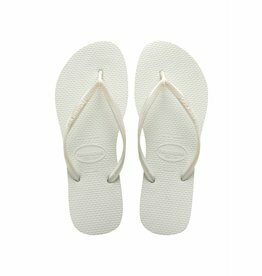 A tonal Havaianas logo and the signature textured footbed provide style and comfort.